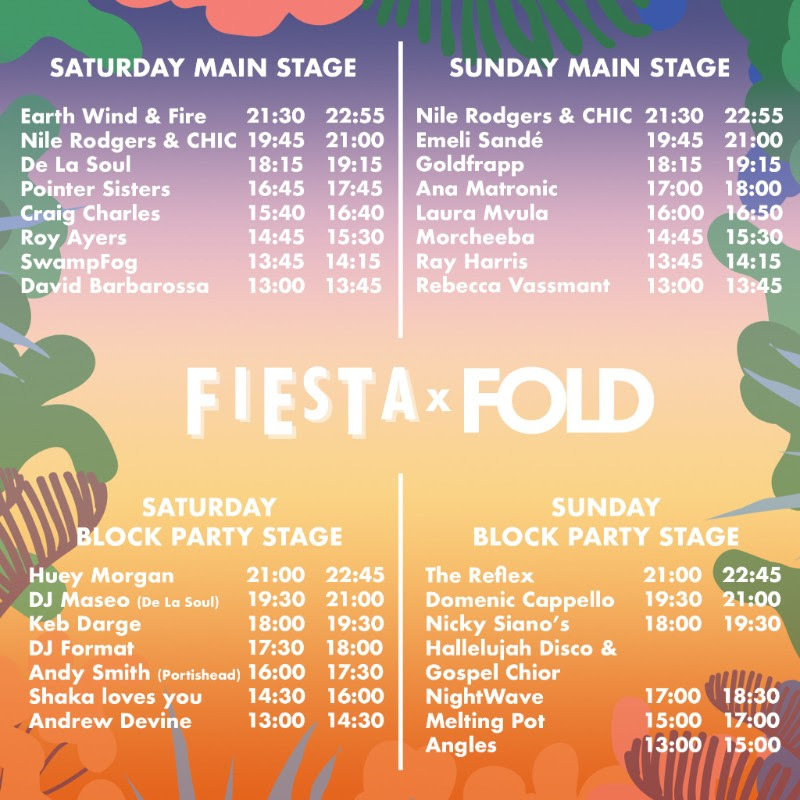 Just over 2 weeks to go until Fiesta x Fold Festival – here’s all the latest information! With Grammy-winning composer, producer, arranger, and guitarist Nile Rodgers performing on both days and hosting the festival you know Good Times are coming. Set to be the biggest party of the Summer, taking place on 30th June and 1st July 2018 they have pulled together an incredible line-up with an international cast of artists. For the full list of FAQ’S please click here. 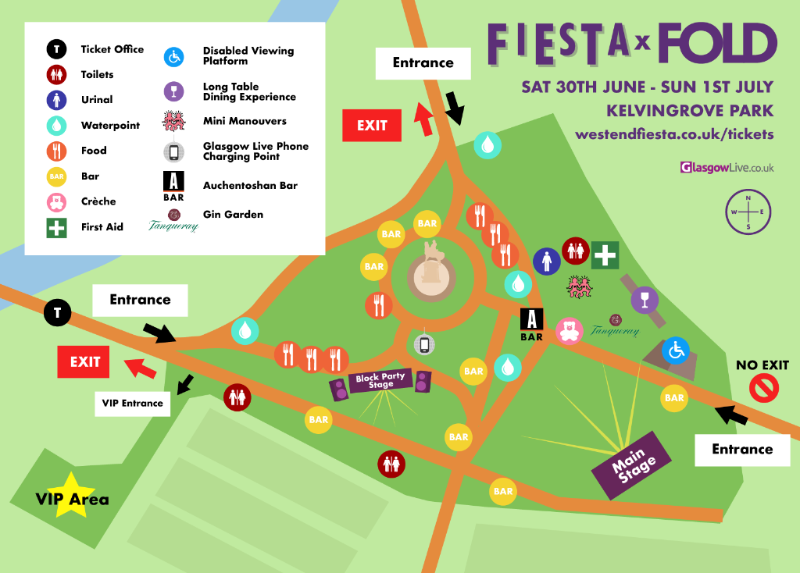 Festival goers can now familiarise themselves with the site map and plan their weekend of music, food and fun. 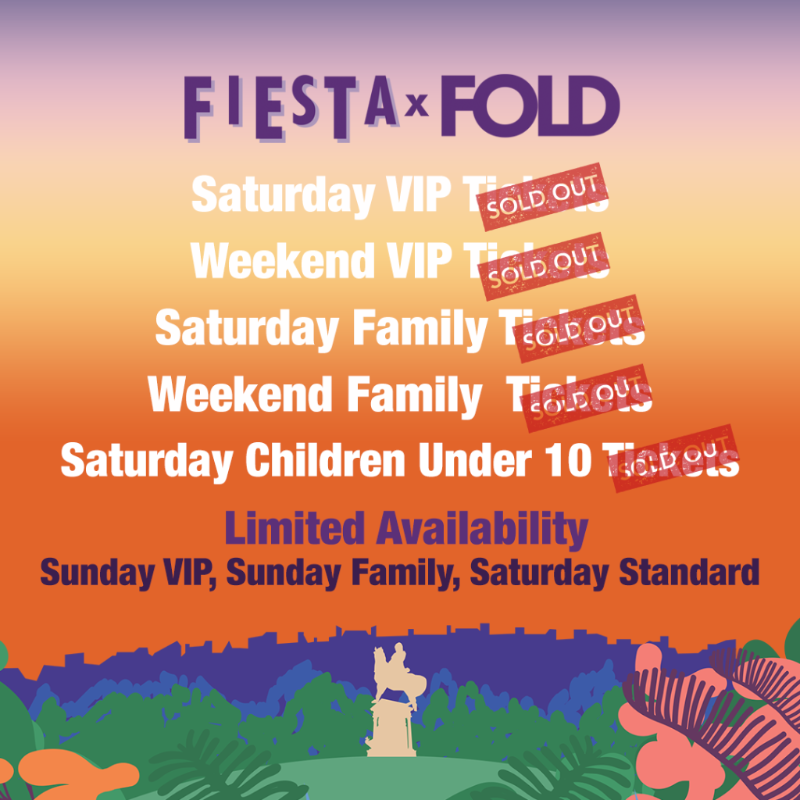 For those planning on attending with their music loving little ones Fiesta x FOLD has them covered. The main event for the young ones is Mini Manoeuvres – a full sensory experience for children. There’s also a crèche facility on site, which can be booked here now. It’s for 3 – 7 year olds and you can book a 90 minute slot for £10. There are three sessions available throughout the day, with children able to be booked into one session per day. Experienced and qualified crèche staff will be on hand to look after the little ones while festival goers take some time to enjoy the festival child-free for a wee while. Family tickets are available from £109 for one adult and one child aged 11-16. Children under 10 go free – a kids ticket must be booked alongside an adult ticket. Saturday family and under 10’s tickets have now sold out but there’s still some left for the Sunday but be quick as they are limited for a great day out with the kids. You can buy tickets and get more info here. At the Fiesta x Fold the food and drink offering will be as exciting and diverse as the music program. A’challtainn will be offering a completely unique dining experience with a pop up restaurant on site.The Fiesta Long Table caters for 40 people at one sitting. 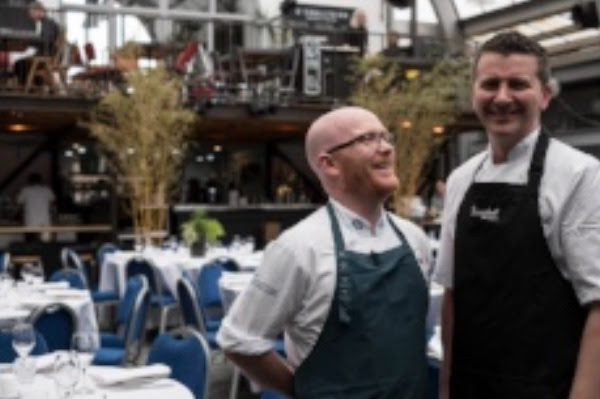 There will be four sittings each day, with a banquest of sharing platters prepared by A’challtainns Gary Gill and Master Chef winner Gary MacLean. The food here, cooked by the chefs, will represent the food that is on offer at the restaurant: finest, freshest seafood. Music and food is a perfect combination of pleasures and what better way to set off the weekend with a visit to the on-site restaurant. Price per person £49.00 *This includes a welcome Gin Cocktail and half bottle of wine. (See full menu & sittings info here). This must be booked in advance! And with all that to look forward to and you still don’t have your ticket then best be quick. You can buy the last remaining tickets here.